On average, an international student can expect to pay NZ$20,000 (£10,499) (all figures from now are in New Zealand dollars) for an arts and social sciences undergraduate degree, $25,000 (£13,124) for science and engineering and $75,000 (£39,372) for a dentistry and medicine degree. For example, at the University of Auckland, a typical international undergraduate student pays $27,592 (£14,485) for most BA courses and up to $72,896 (£38,267) for medicine degrees beyond the first year. Postgraduate degrees at the University of Auckland are between $32,392 (£17,004) and $46,787 (£24,561) per year. Therefore an international student studying at the University of Auckland would spend $82,776 (£43,454) for a three-year bachelor’s degree. 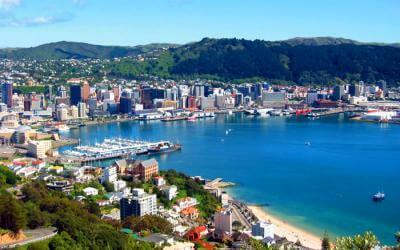 There are several possible options for renting during a period of study in New Zealand. You could stay in student residence halls ($200 or £105 per week, on average), a shared flat ($120/£63 per week) or a private flat ($180/£94 per week). The 2017 estimate for renting a room in a three-person apartment is $202 (£106) per week in Auckland, $127 (£67) in Hamilton, $170 (£89) in Wellington, $132 (£69) in Christchurch and $147 (£77) in Dunedin. Therefore to live in Auckland (the most expensive of the university cities), students should budget to spend $8,080 (£4,241) on rent per year (based on a 40-week contract) which would amount to $24,240 (£12,725) across the entire three-year bachelor’s degree. If you have the right skills and experience, it's always a good time to look for work in New Zealand. The success of your job hunt depends on the sector you're looking to work in. There are currently plenty of job openings in industries such as engineering, IT and medicine - however, there are also opportunities to contribute more generalist skills. You may have been living in New Zealand for a while now, but need to leave the country temporarily. If your travel conditions have expired, you'll need to apply for a Permanent Resident Visa or a variation of your travel conditions to return to New Zealand as a resident. A Permanent Resident Visa is usually the next step after being granted a Resident Visa. While Resident Visas have travel conditions that only allow a person to re-enter New Zealand as a resident until a certain date, a Permanent Resident Visa allows indefinite re-entry to New Zealand. An offer of place from an approved education provider. Evidence that you have enough money to pay your tuition fees. Proof of funds – $15,000 per year, to cover your living expenses.